We are a team of researchers from University College London and the British Museum. In the past few years, we have been looking into the new opportunities provided by digital technologies for public engagement in archaeology, through several seminar series and a recent edited volume on the topic. We are now lucky enough to have funds from the AHRC to work on a project entitled Crowd and Community Fuelled Archaeological Research which has started this month. The core of our efforts day-to-day will go into enabling a more general online platform for crowd-sourcing and crowd-funding that we have called MicroPasts. 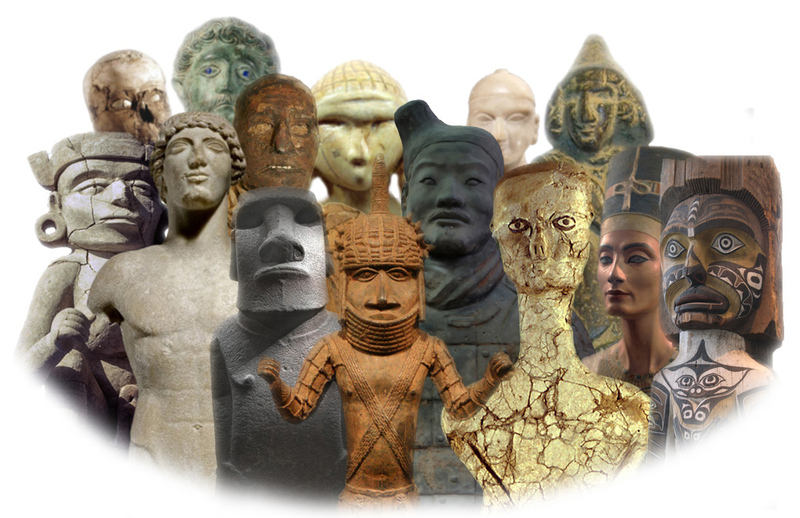 The platform’s goal is to bring archaeological enthusiasts of all kinds — traditional academics, archaeological societies, interested individual members of the public — together to create new, high quality archaeological and historical data about the human past. This research blog also allows some of us to indulge our more navel-gazing tendencies (!) and to post about themes ranging from public archaeology to research ethics to the technical aspects of crowd-sourcing and crowd-funding. We will be aiming to write for a wide audience including those working in public archaeology, cultural heritage, museum studies, computational archaeology and the digital humanities, as well as practitioners in the heritage and creative sectors. But in this first blog post, let’s start by setting out the context for our research. Recently, increasing attention has been dedicated to the potential of digital technologies for supporting more egalitarian and transparent practice, as well as wider participation. One fairly well-known digital method to pursue these goals has been ‘crowd-sourcing’, the practice of seeking information, services or funds in small chunks from a ‘crowd’ of people including as yet wholly anonymous members of the public as well as those already belonging to relevant communities of interest. Archaeology and crowd-sourcing should make for a great fit, because, while archaeology enjoys widespread appeal, it tries to protect, document and understand a massive dwindling resource, traditionally supported by tiny pots of money. Early examples of crowd-sourcing in archaeology and related disciplines have focused on things like inspecting imagery to detect archaeological features, pooling wartime tangible heritage, transcribing papyri, interrogating built architecture and public recording of metal artefacts. In other cases, appeals to the ‘crowd’ have been made to micro-finance student dissertations, major excavations and long-term community projects all over the globe. What past crowd-sourcing and crowd-funding experiments have in common is that they mainly embraced ‘contributory’ models, where members of the public were asked to contribute their skills or their money in support of research agendas that were typically designed by academics. We too wish to create a community space where anyone with an interest in archaeology and history can help build archaeological knowledge by contributing to existing projects, but perhaps more ambitiously we also want to have a crack at proper ‘co-producton’ (to tack on yet more jargon!) and offer serious opportunities for traditional academics, volunteer societies and other enthusiasts to dream up new research initiatives collectively, and then to fund them via crowd-funding appeals. What will be the ethical implications of online community co-production like this? What should be the consequences of crowd-funding for heritage policy? How, technically speaking, do we best build a multi-purpose, wide-range web platform of this kind? How can we best encourage fun, productive and inclusive online communities? How should we evaluate whether our approaches are effective or not? These are possible subjects of future posts, but we promise to throw in some more light-hearted and serendipitous stuff too, so please do keep following!